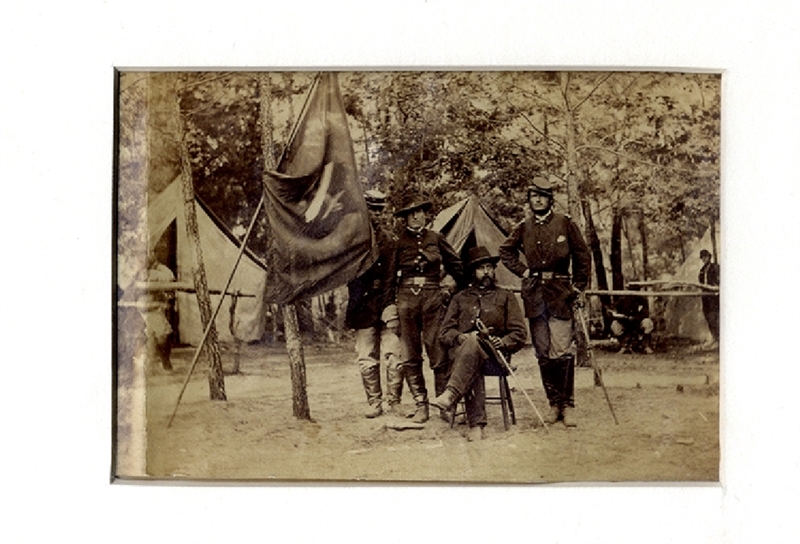 Albumen photograph of General Orlando Willcox and staff, possibly by Matthew Brady, 4-1/2”x3”, unmounted. Fine condition. Orlando Bolivar Willcox (1823-1907) was an American soldier who served as a general in the Union Army during the American Civil War.